Ultra-sharp, precision-ground jaws with anti-slip microscopic serrations and spring-loaded knurled handles provide the control you need to make perfectly smooth cuts in delicate materials...every time. Beautifully made of stainless steel. 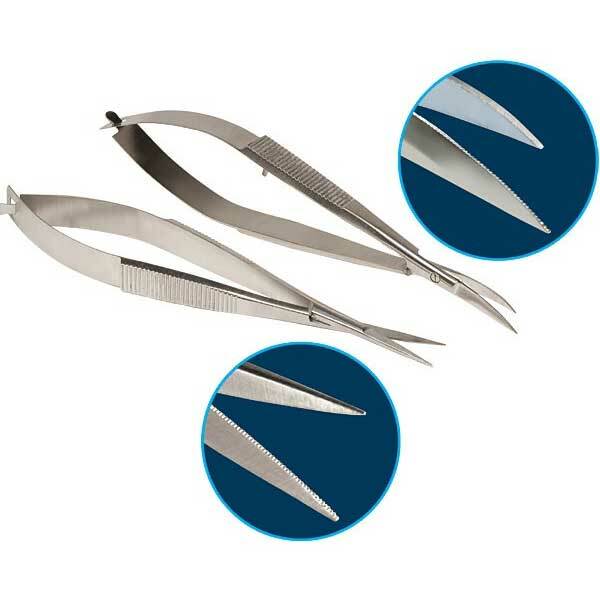 Set includes one straight jaw scissor and one curved jaw scissor. Jaws are 1/2 inch long. Overall length is 4-1/2 inches.